Paige Johnson is a freshman at Heritage High School, and this is her first year taking journalism. She is enrolled in all honor classes and would like to go to Berry College after graduating high school. She would like to major in journalism or psychiatry. In her freetime, she enjoys reading, writing, and watching television. Paige has a passion for writing and is thrilled to be involved in journalism. 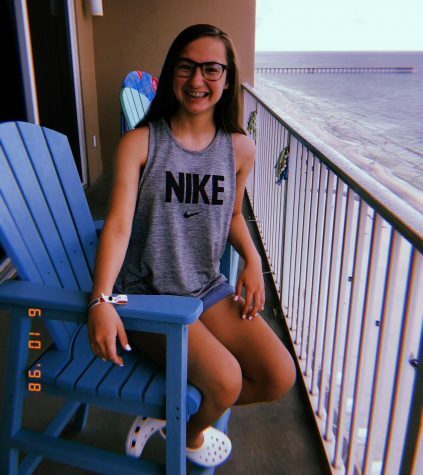 She has grown up in Ringgold, Georgia, but loves to travel. She attends Peavine Baptist Church where she is involved in the youth program. Paige is excited to begin high school and is ready to make new friends.